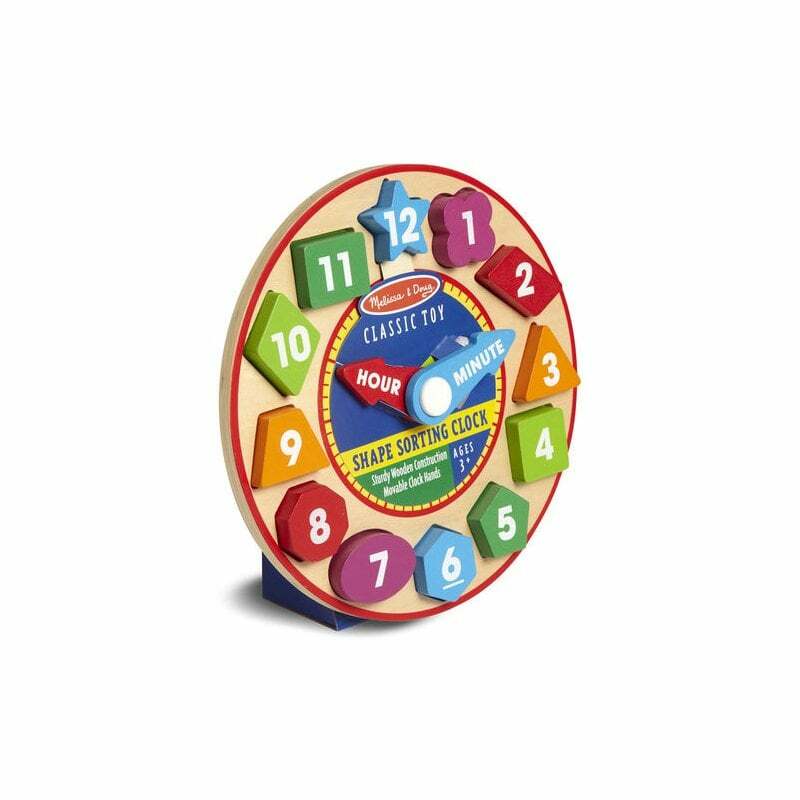 Our popular preschool-friendly clock gets a cool update! A larger face, exposed natural wood, and pops of vibrant color on match-able chunky pieces make for a fresh modern look . . . but the classic play value and top-quality construction remains the same. 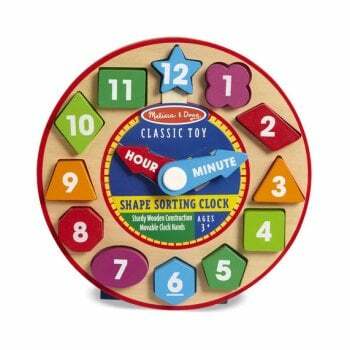 Kids love the color-coded minute and hour hands that spin around with a simple push. (No matter where they point, its always time for learning and fun!) Children can match the colors, sort the shapes, and solve the puzzle as they manipulate the color blocks and turn the hands, building cognitive and motor skills and laying the groundwork for learning to tell time. 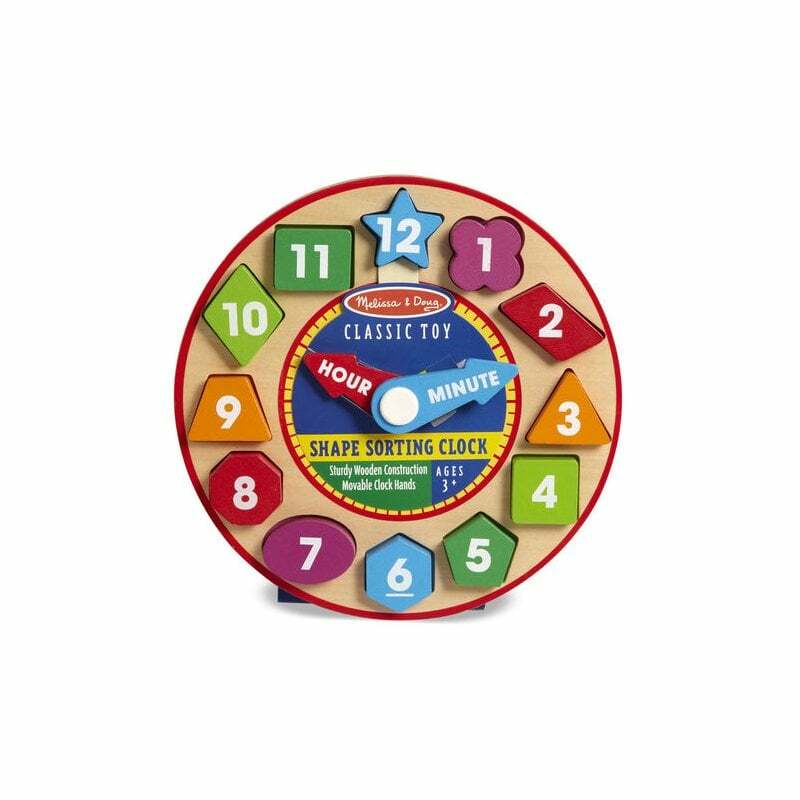 Extension activities printed right on the box encourage parent-and-child play, helping children begin to master early-learning concepts as they gain familiarity with the form of a clock and concepts of time.